FINAL DAYS (2013). Wood, 602 x 534 x 395cm. Graduating from New York’s School of Visual Arts in the mid-1990s, Brian Donnelly soon cast off a spell as an animator with Disney to begin subverting the Big Apple’s streets with the cartoony skull and crossbones that would be his calling card. 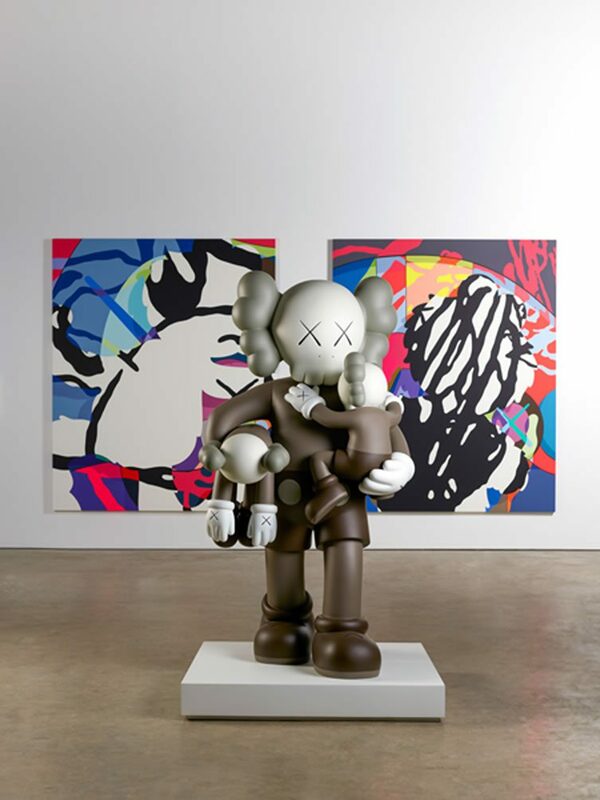 Fashion ads on bus stops and phone booths were gracefully disgraced, and KAWS was born. The rest is history. 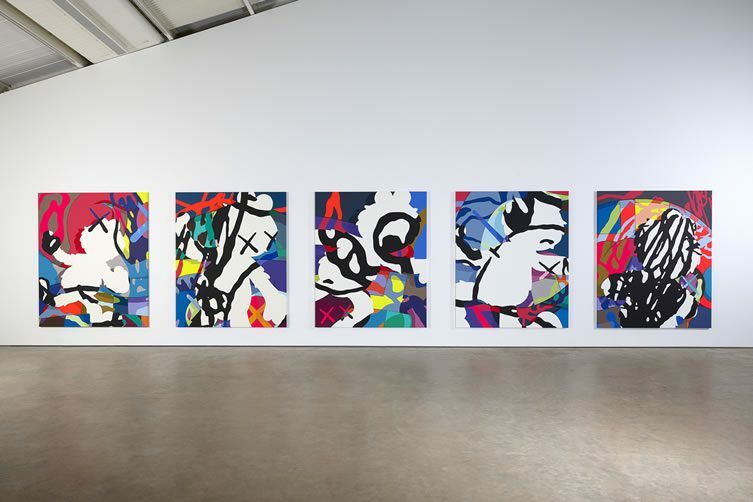 The turn of the century saw the New York-based artist submerging himself in the eminent Japanese streetwear culture dominated by ‘hypebeasts’; Donnelly would work with the likes of clothing brand BAPE and vinyl toy makers Medicom. 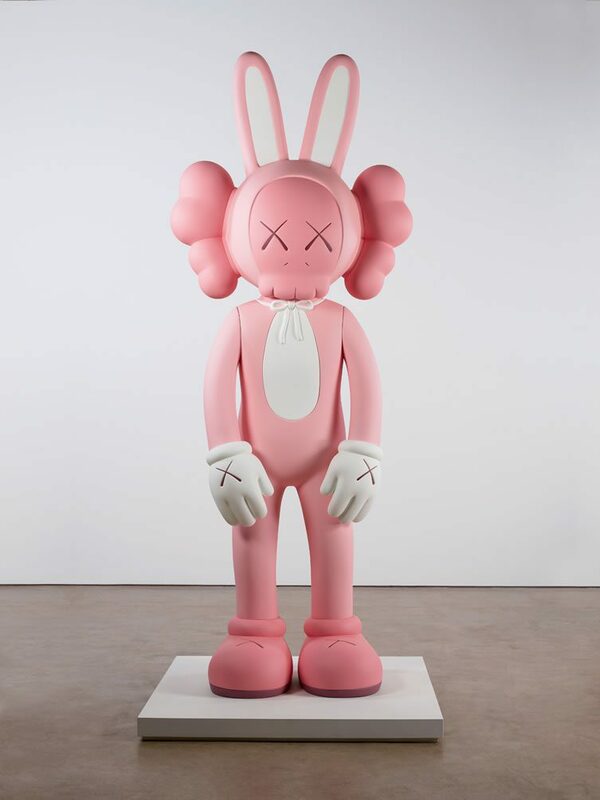 His position as a pop culture icon was cemented, but it is his epic sculptures of recent years that have seen his career take new, steeper trajectory — drawing comparisons with the likes of Jeff Koons, and showing at solo exhibitions from Paris to Hong Kong. Which brings us neatly to West Bretton, Yorkshire. If I had a penny for all of you who’d slate London for the destination of the American artist’s debut UK museum exhibition … well, I could buy a Wham Bar, that’s what. 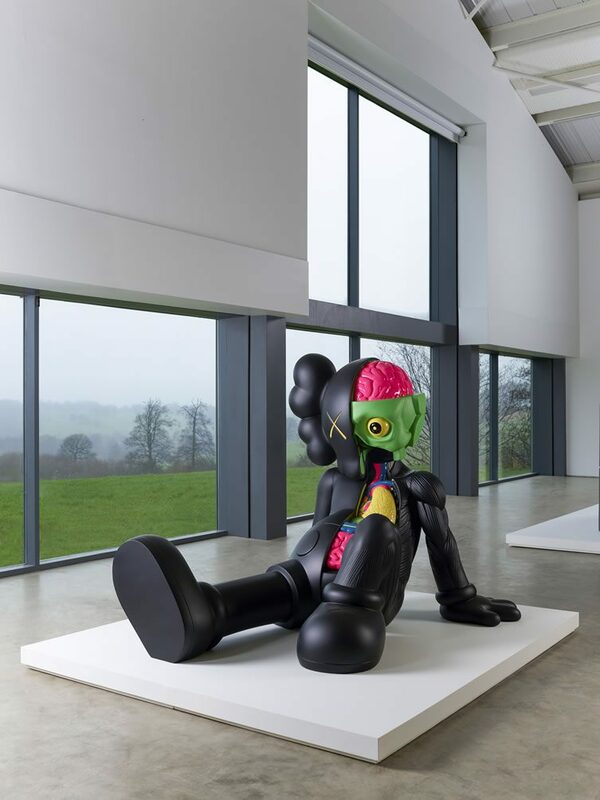 Truth is, Yorkshire is Britain’s sculpture epicentre — the Yorkshire Sculpture Triangle comprising The Henry Moore Institute, The Hepworth Wakefield, Leeds Art Gallery and Yorkshire Sculpture Park; all within a 30 minute drive. 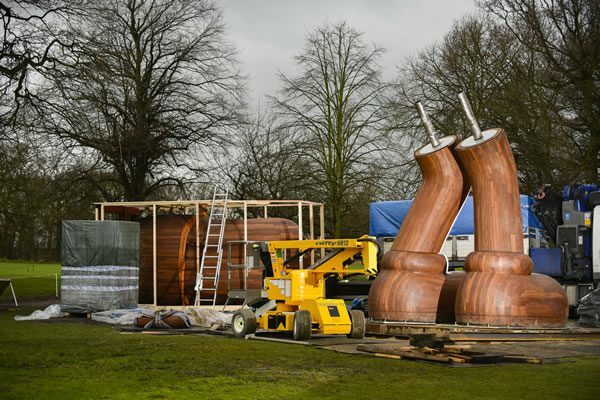 That’s a lot of sculpture, from the world’s very best. 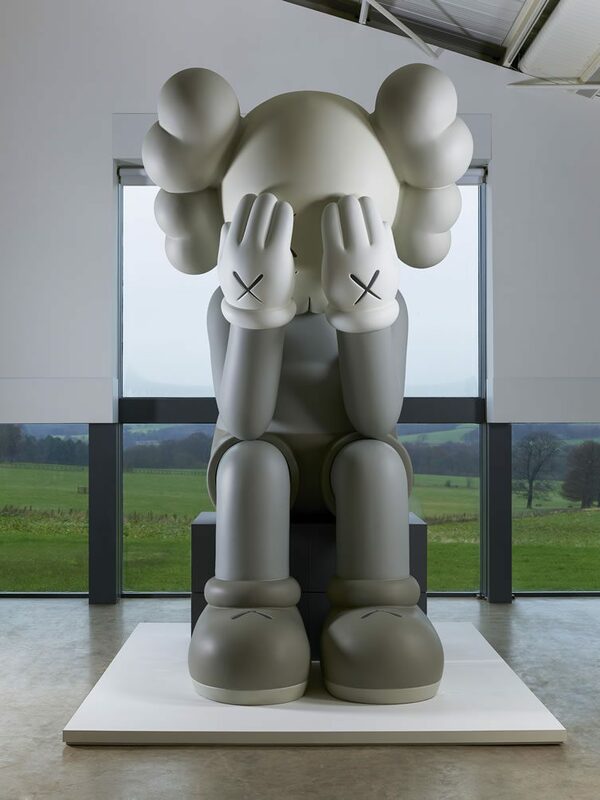 KAWS arriving in north England’s countryside less surprising now? 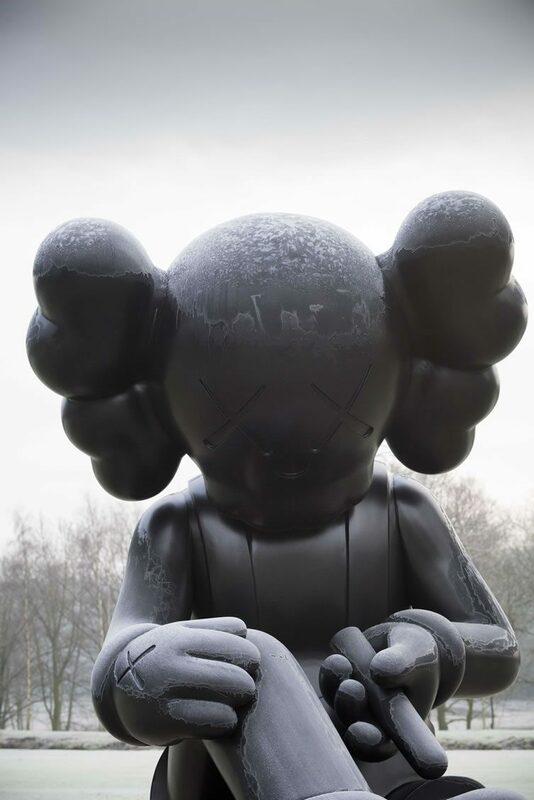 The New Jersey-born artist is the subject of a major exhibition at Yorkshire Sculpture Park that runs into the summer months, and features over 20 works — plenty of which are gargantuan in scale. 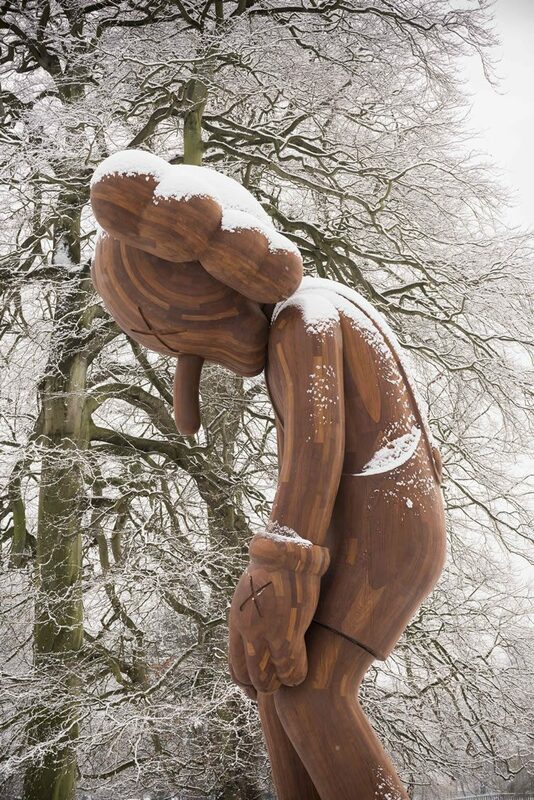 Standing between six and 10 metres in height, six wooden works will lurch between the trees of YSP’s expansive grounds; dripping in character and emotion, here are works that embody KAWS’s transition from street to fine art, and confirm his position as one of the most exciting artists internationally. A series of smaller sculptures accompany canvas works indoors at the Park’s Longside Gallery. 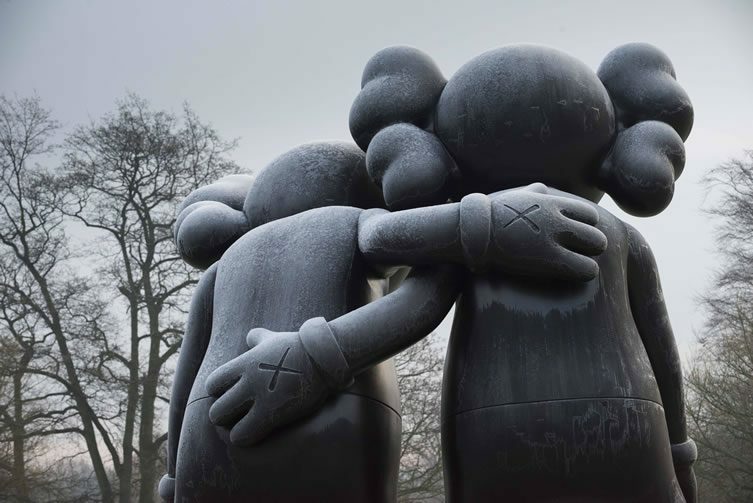 KAWS at Yorkshire Sculpture Park continues until 12 June. ALONG THE WAY (2013). Wood, 550 x 448 x 306cm. Courtesy the artist and YSP. Painted bronze H180cm x W98cm x D87cm. each part: H284.5cm x W233.7cm. 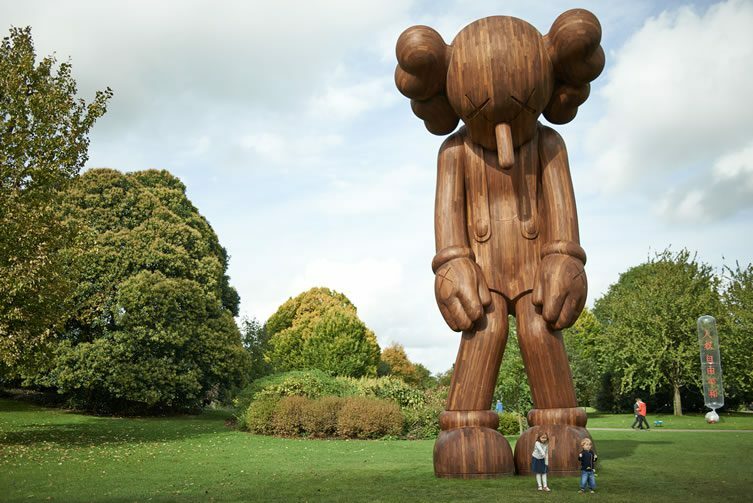 Courtesy the artist, Galerie Perrotin and YSP. 305cm x 121cm x 91cm. 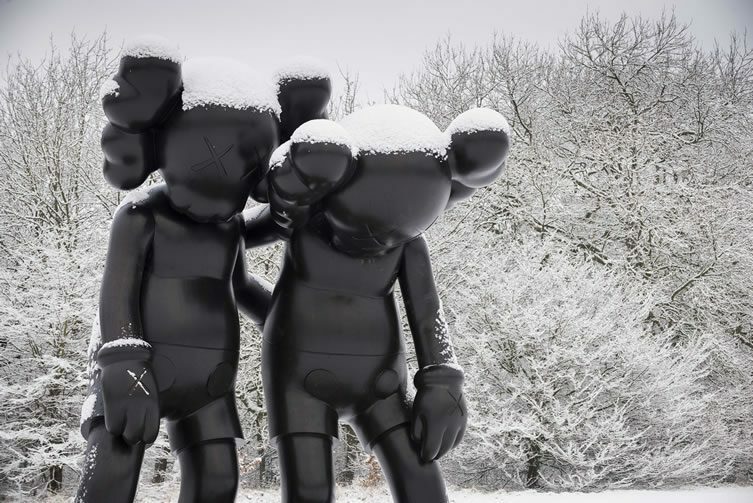 SMALL LIE (2013) courtesy the artist, YSP and Galerie Perrotin. Afromosia, H1000cm x W464cm x D427.2cm. Wood, 1000 x 464 x 427cm. 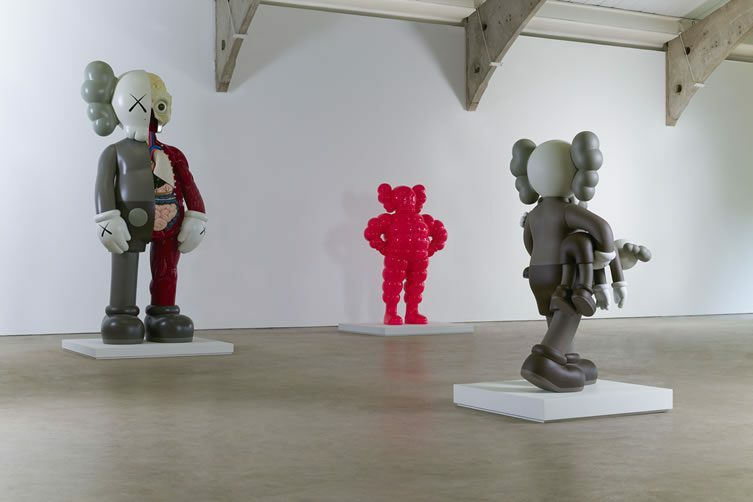 Courtesy the artist and Galerie Perrotin. 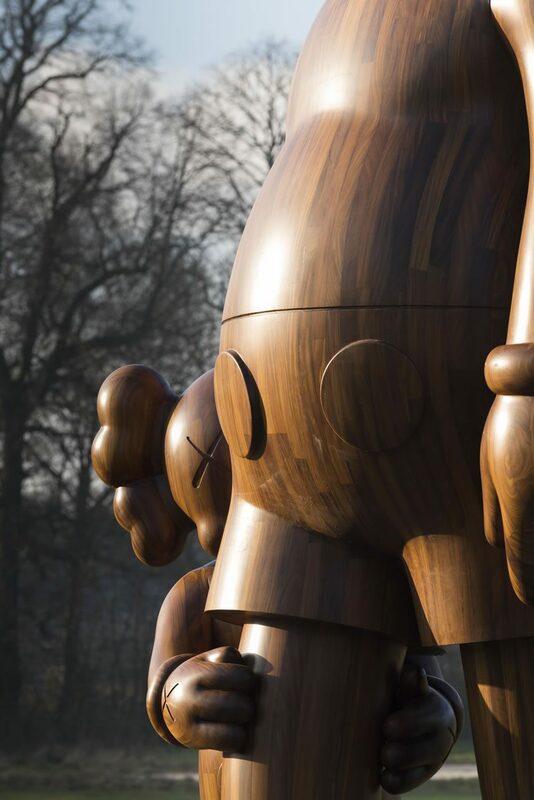 Installation of KAWS sculpture at Yorkshire Sculpture Park, 2016. H153.7cm x W160cm x D203.2. 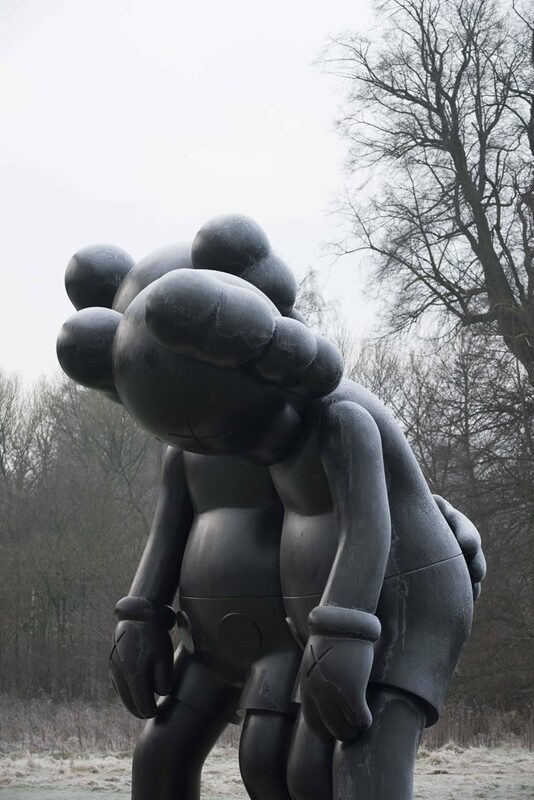 courtesy the artist, YSP and Galerie Perrotin. Wood, H326cm x W225cm x D305cm. Wood, 550 x 448 x 306cm. Courtesy the artist and More Gallery. 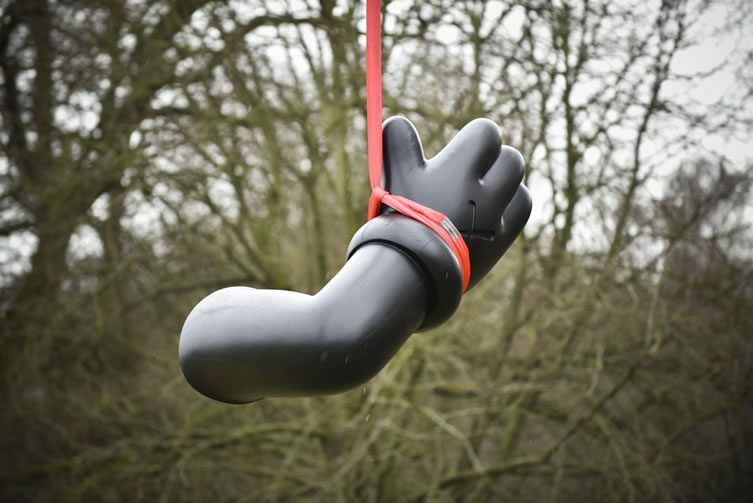 SURVIVAL MACHINE, 2015 Courtesy the artist and YSP.